Stephen Hillenburg, creator of the highly acclaimed children’s animated television series “Spongebob Squarepants,” passed away at the age of 57 last Monday, Nov. 26. The cause of his death was a neurodegenerative disease known as amyotrophic lateral sclerosis (ALS), or Lou Gehrig’s Disease. Nickelodeon confirmed the news in a tweet sent out the Tuesday following his death. Hillenburg’s work as both a television show creator and a marine biology teacher has touched the lives of many with inimitable creativity and whimsy. In 1984, he obtained his bachelor’s degree from Humboldt State University in Natural Resource Planning and Interpretation with an emphasis on marine resources. “Everywhere we look we are reminded of Stephen Hilgenberg and the laughter he brought to millions,” the Ocean Institute said in a tribute following his death. The marine instructor turned cartoonist later pursued an animation career, obtaining his Master of Fine Arts from the California Institute of Arts, according to his IMDb page. Hillenburg’s work with Nickelodeon began in 1993 when he was asked to write and direct episodes of “Rocko’s Modern Life,” another popular children’s animated series. When “Rocko’s Modern Life” ended in 1996, Hillenburg began writing, producing and directing the famed “Spongebob Squarepants”. The cartoon features a fun-loving, intensely optimistic sea sponge along with his various undersea friends including Patrick Star, Spongebob’s dimwitted best friend, and Squidward Tentacles, Spongebob’s grumpy next-door neighbor. Following the simple, yet pleasantly silly adventures of Spongebob and his friends, the show explores his passion as a fry cook at the Krusty Krab, his good-natured love of Jellyfishing and bubbles, his consistent struggles through boating school and more. Throughout the show, the sponge’s happy-go-lucky positivity is often seen contrasting a world of apparent cynicism. Hillenburg once said in an interview with the Washington Post that the message of the show is to, “Treat people the way you expect to be treated,” an unstated, yet evident value of the lovable sponge. Spongebob’s naive innocence and fun-loving spirit has sparked adoration from viewers of all ages for years. The character’s relentless enthusiasm for the simplest of pleasures and childlike approach to everyday emotions and circumstances gives older viewers a sense of nostalgia for the playful sentiments of childhood while providing younger viewers a character with a care free love of life. First airing in 1999, the animated series has been a beloved part of childhoods and families for almost twenty years. In addition to being the longest running series the network has ever seen, it is also the only remaining ‘90s series on Nickelodeon currently on the air and in production. With nearly 250 episodes and two films, the “Spongebob” franchise has been nominated for over 140 awards, including 16 Emmy Award nominations and 17 Annie Award nominations. The show won 73 of its nominations, including 15 Kids Choice Awards and four primetime Emmy Awards. For his contributions to raising awareness of marine life, Hillenburg was given a Walk the Talk Award in 2001 by Heal the Bay, an environmental advocacy nonprofit. He was also awarded a special Daytime Emmy Award earlier this year, honoring his, “Contribution and impact made in the animation field and within the broadcast industry,” according to the award show’s Twitter account. 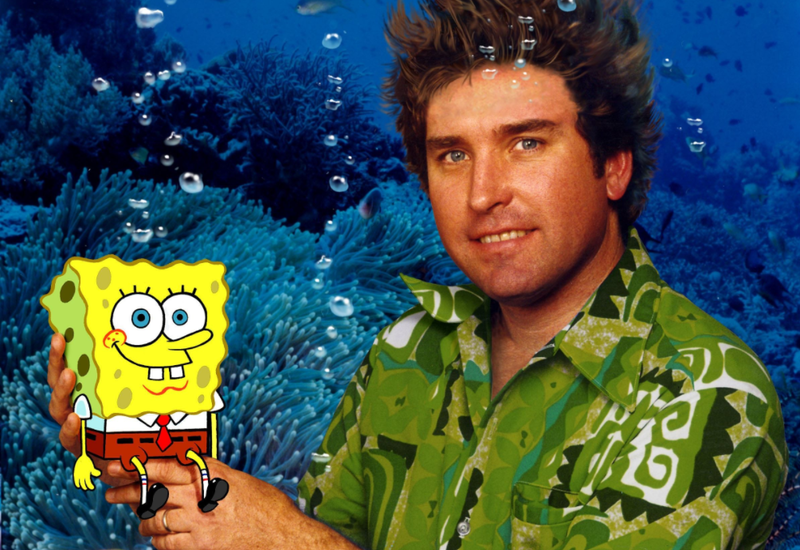 Through his work, Hillenburg shared his love and knowledge of marine life with millions by educating his students and showing his fans the importance of imagination and optimism in a sometimes unpredictable world.